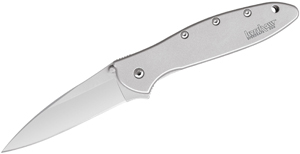 The ESEE IZULA is one of the most popular knives to come out of ESEE Knives, formerly Rat Cutlery. The IZULA II takes everything that is great about the IZULA neck knife, and adds a 1/2″ longer handle. It also comes standard with Micarta handle slabs, which were a popular add-on for the original IZULA. Although the original IZULA was definitely usable, the extra leverage that the IZULA II‘s extended handle provides makes the knife much more comfortable in large hands, and allows a greater amount of control of the knife in any hands. The Micarta handles improved the grip of the original IZULA, and are a welcome standard addition to the IZULA II. However, for those who would prefer the skeleton handles, or who would prefer to make their own custom handles, the Micarta handles can be easily removed. 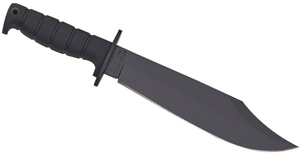 The IZULA II is available as just the knife and sheath, or with a minimal survival kit. 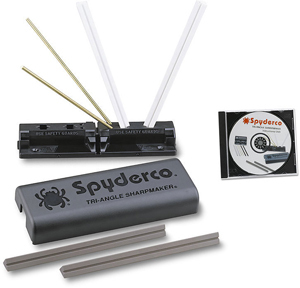 This kit includes a length of paracord, an emergency whistle, a fire flint, and various parts for additional carry methods, including a snap hook and a belt clip for the sheath. If the IZULA II is as popular as the original IZULA, we will not be able to keep it in stock for long, so get yours today! This is a well designed and easy to carry medium knife with a lot of heart. www.knifecenter.com is proud to offer a variety of these great knives many with a small survival kit. We have four different colors.